Back in my teenage years I suffered from severe menstrual cramping. There was no shortage of Midol, Ibuprofen, heat pads, over-sized sweatpants and sappy love movies around the house when that time of the month came around. 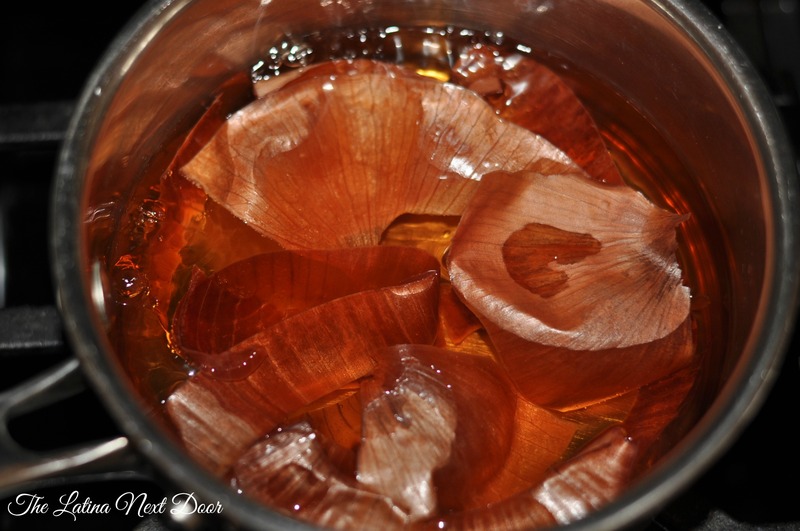 Well, one day I was home from school having one of those “episodes” when another Puerto Rican mom came by our home and offered some unlikely advice as to what may help my “situation.” Her remedy was onion peel tea…. I thought she was nuts! But she swore by it and as I was desperate to try anything to feel better, I agreed to give it a go. Basically, she took the peel off a few yellow onions. She rinsed them and stuck ’em in a pot with water. Then she let them boil for a few minutes and let the tea sit and steep for a bit. She poured some into a mug with a little honey and let me go to town. And I was surprised – it did not taste or smell like onions. It was actually kinda good! I remember her leaving after a little while and I couldn’t tell you whether the Midol had kicked in, my body’s cramping finally naturally subsided or my mind wanted to believe the tea would work, but after about 30 minutes or so I started to feel better. From then on, I can tell you that we never threw away those peels again. So how does it work, you ask? Here’ s a little more information for those of you who might be a little skeptical… and I’ll keep it as simple as possible. According to Science Daily the brown skin of an onion has phenolic compounds, such as quercetin and other flavonoids which have medicinal properties. Quercetin is a plant pigment that is found in many plants and foods, including red wine, onions, green tea, apples, and berries to name a few. 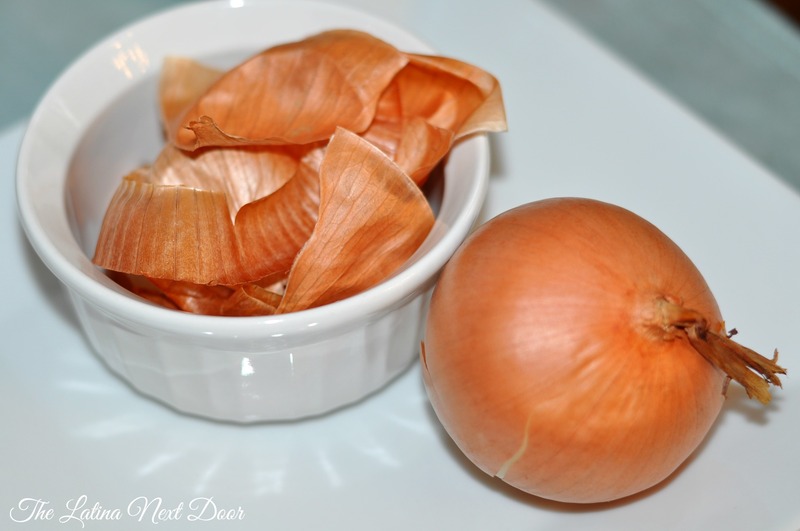 The skin of an onion is also rich in antioxidants and is known for its anti-inflammatory effects (a-ha!). 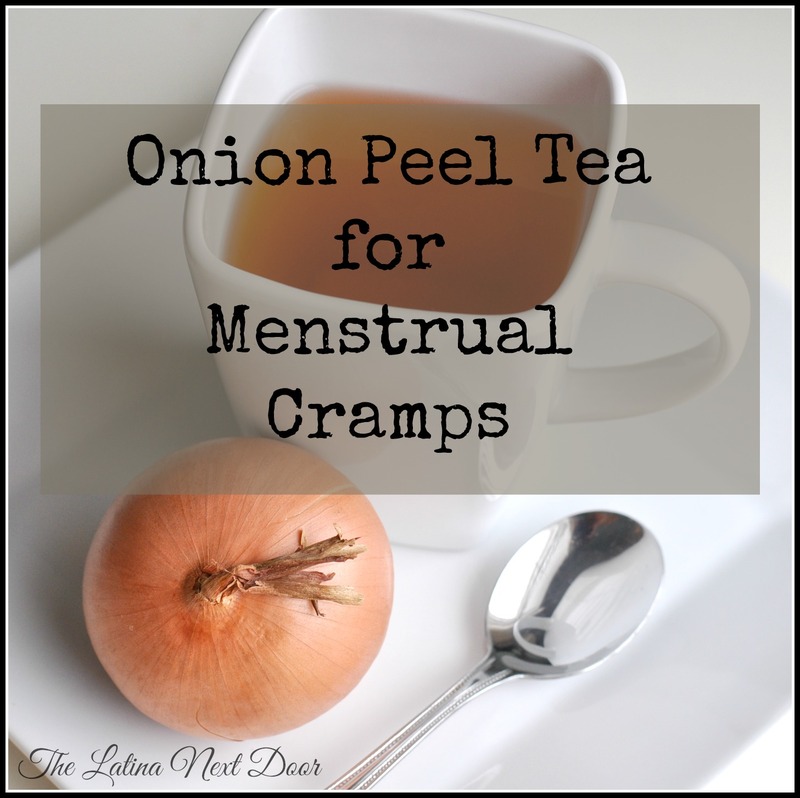 An article in Top Natural Remedies also states that onion peel tea can help with muscle cramping (say what?!) and the regulation of menstrual cycles (hell yeah! )…I don’t know about you, but this sounds like a little more than just a Hispanic wives tale. 😉 I think there might be something there peeps! And if I can make at least one young girl feel a little better, then it’s definitely worth sharing. So just remember, don’t throw away those peels just yet. You may just need them for a nice cup of tea. Intrigued? For even more useful information on the health benefits of onions, check out this related post from my friends at Positive Health Wellness. Besides giving you 6 reasons why should add more onions to your diet, they share many great tips on dieting, fitness, and even pain relief! Do you have any unique home remedies? I would love to know about them! Huh, whodda thunk! I am totally trying this. Thank you for checking this out! I would love to hear what you think about it if you do try it out. Sounds intriguing! I’d like to try it! Thanks so much for your feedback. And let me know if you do try it out, it would be nice to see what you think of it. OMG that is amazing! I’ve never heard of it before and will definitely try it. Onions – and honey? Sounds – unusual, but gotta be worth trying a natural solution! OMG! 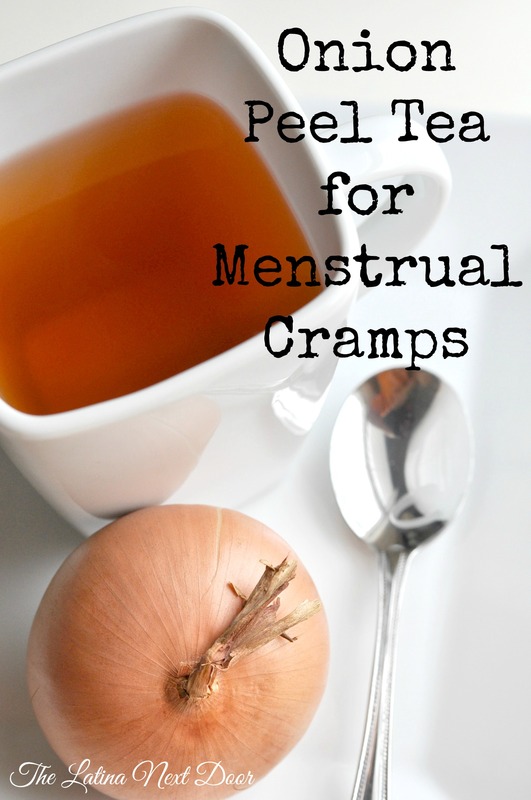 I thought I had seen and heard all period pain remedies until I saw this! Does it actually work?! Thank you Emma and yes it really does work. That is my go-to for whenever I have needed pain relief and I recommend it to anyone who asks. Thank you – Totally going to be trying it this month. Fingers crossed! I hope it works for you as well Emma!